Have you checked out Lerner Digital books yet? 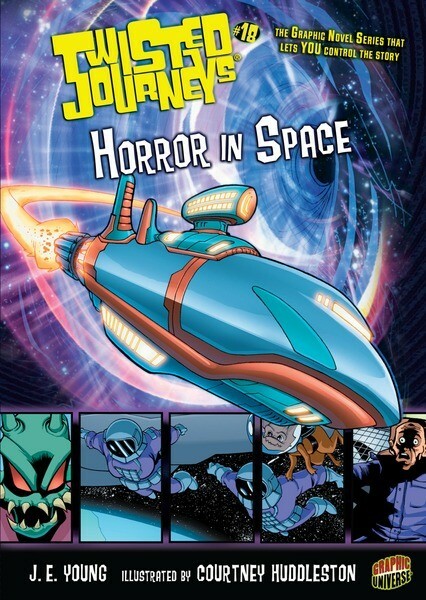 We want you to love our new eBooks as much as we do, so for one month we’re giving away free eBooks of Twisted Journeys®#18 Horror in Space! To get the #18 Horror in Space eBook free for one month simply visit ebooks.lernerbooks.com/redeemaccesscode and enter U6CW77DEB2A9 as your access code. We hope you enjoy your twisted journey in the graphic novel series where YOU control the story! ...is written, scribbled, drawn, and tweeted by GU's editorial director and stalwart editorial assistant.